1. 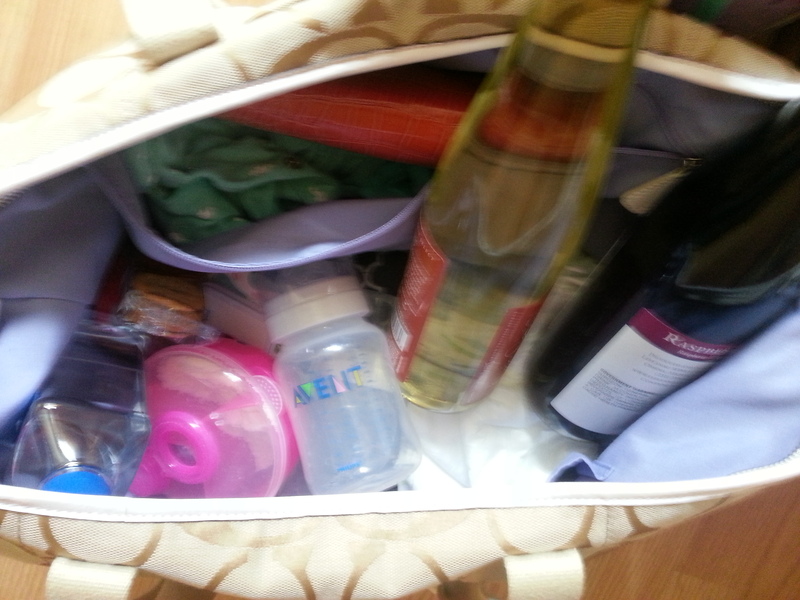 Make sure your diaper bag is big enough to pack all of the essentials. Opt for the satchel with plenty of extra room, just in case you need to hold a few of your favorite things. 2. Use Your Role as Grocery-Getter to Your Advantage: Remember that there is really no need to begrudge your spouse for never setting foot in the bread aisle because the wine aisle is usually right next to it. 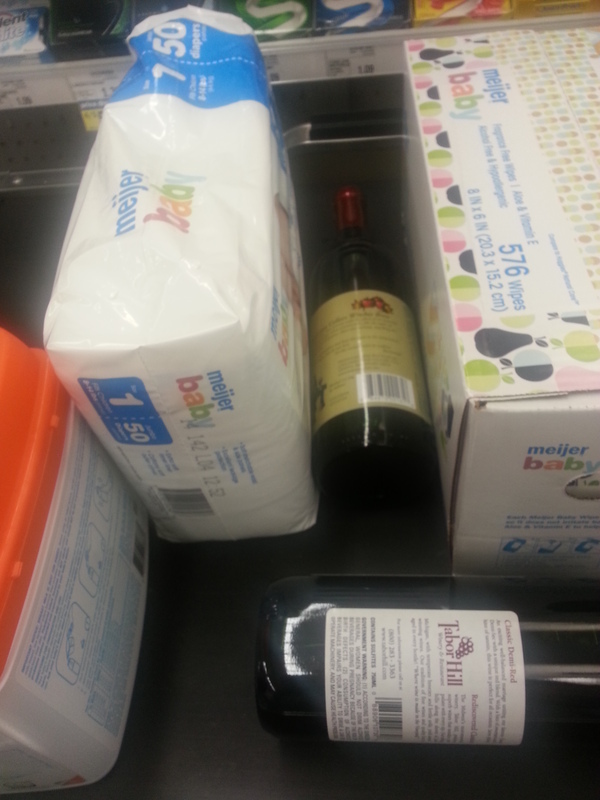 When you want to make a wine run, but don’t want to hear any grief from your spouse about how you can’t make it a day without wine, you can use the old, I-need-to-go-to-the-grocery-because-the-baby-needs-diapers excuse. 3. 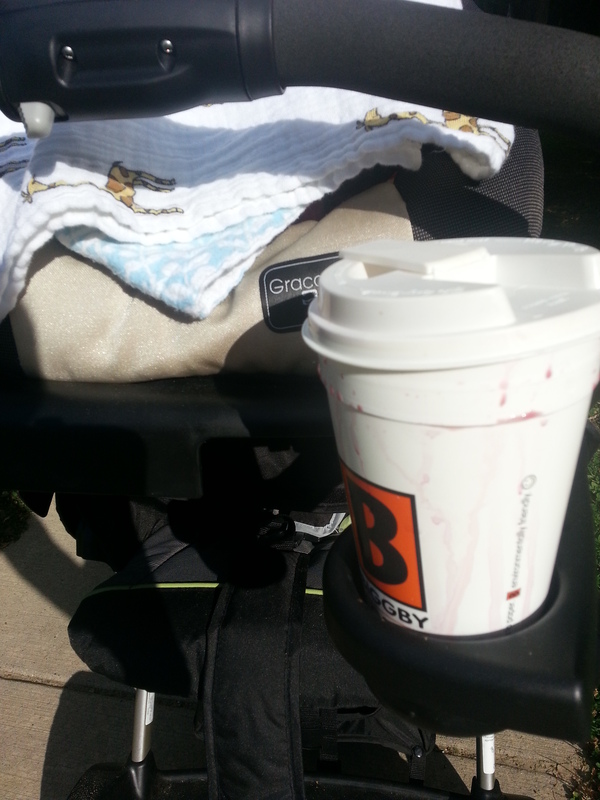 Take a Special Treat to Sip As You Stroll: Endorphins plus wine = happiest of mamas. Just be sure to put your mommy juice in a cup with a well-sealed lid (do as I say, not as as I do) and take care to dodge the potholes. 4. Of course, don’t overindulge. A little nip to take the edge off is well and good, but there is no repercussion worse than having to parent with a hangover. You only need enough wine to counter the whine. Proportion wisely. Aged to perfection. Salut! Slainte! Na Zdrowie! Cin cin! Great advice! I need to figure out what to do now that we’re no longer in diapers/diaper bag though…..hmmmm…..so much to ponder today 🙂 Thanks for sharing! Tee hee – made me giggle! #5. The struggle IS real. I do not indulge often, but I did last night. Oh my lawd.